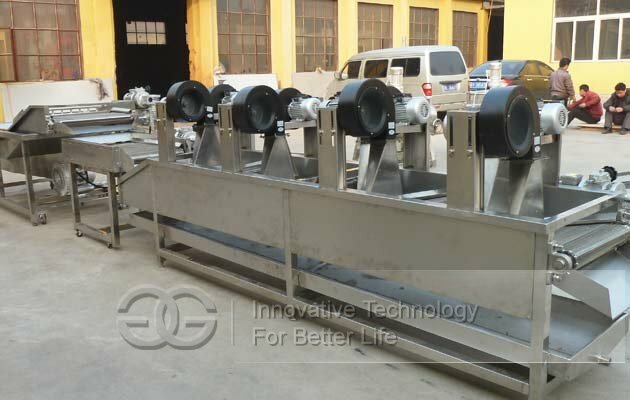 This fruit and vegetable washer and dryer processing line is consisted of conveyor, bubble type washing cleaning machine and air dryer.All machines are with 304 Stainless steel. 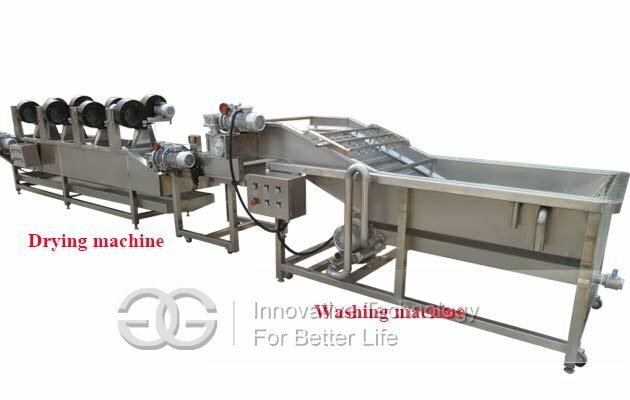 This fruit and vegetable washer and dryer processing line is consisted of conveyor, bubble type washing cleaning machine and air dryer. All machines are with 304 Stainless steel. 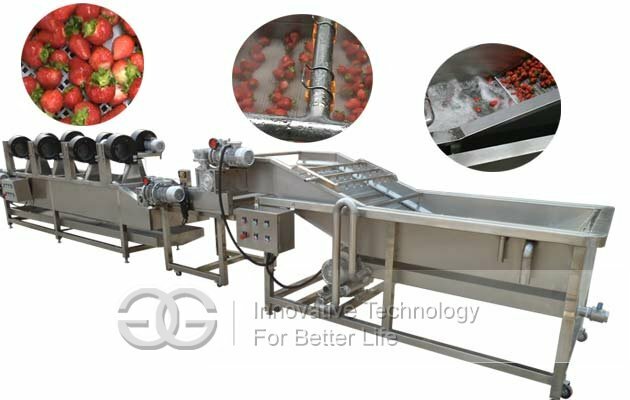 ------The bubble type fruit vegetable washing machine can be used to process apple, berries (like blueberry, strawberry) , citrus, navel orange, honey pomelo, dates, jujube, leafy vegetable, mushroom, bean sprout, spinach, tomato, etc. to make the fruit and vegetable look clean and bright. The clean water filtered through the activated carbon can be recycling used and this machine can save 80% water. Besides, it is easy operation, low energy consumption, health, safety and high efficiency. 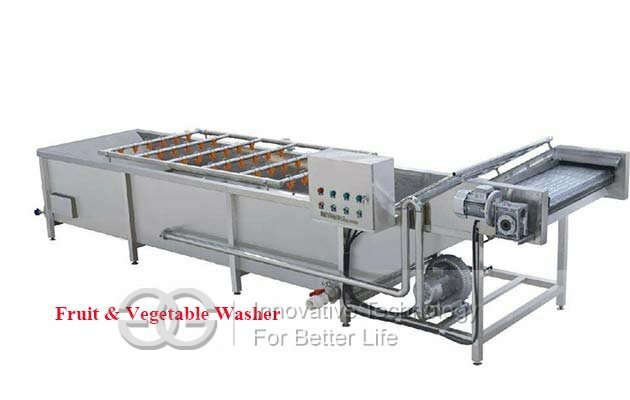 ------Fruits and Vegetable Drying machine: After washing, the fruit or vegetable is conveyored into the drying machine. It is a new type of high-performance equipment with high production efficiency, good quality and reliable operation, saving energy and reducing costs. This dryer machine can be a large number of continuous production, and to maximize the retention of the nutritional content of products and color. 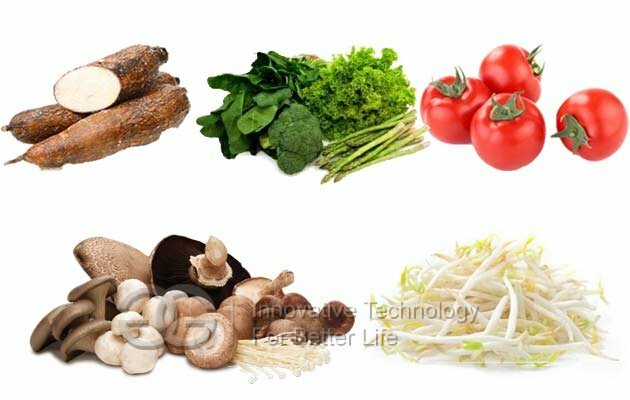 The drying area, temperature and net belt operation speed can be adjusted to meet the characteristics of vegetables and quality requirements. 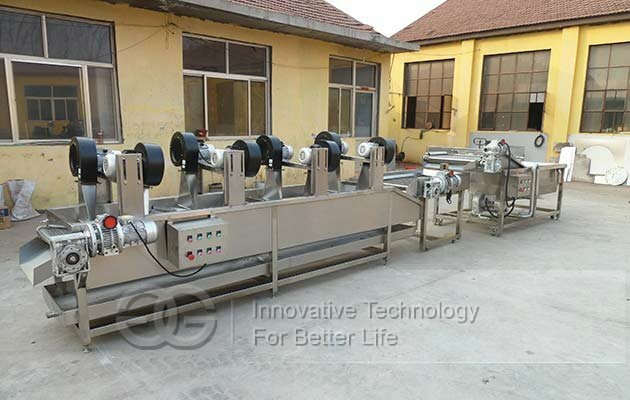 According to the characteristics of vegetables, this machine can be equipped with other necessary supporting equipment.